1. All tournaments shall be played in accordance with the Rules of Golf as defined by the Royal & Ancient Golf Club of St Andrews, and any supplementary local rules issued by the Leicestershire & Rutland Golf Limited on the day of any tournament. 2. (a) All entries must be made on the appropriate official entry form or online and must be received by the Director of Tournaments on or before the stipulated closing date for entries. (b) All such entries must be accompanied by the stipulated entry fee. (c) No entry fee will be refunded after the closing date for entries except for any entrant who may be balloted out and who does not subsequently play. (d) All entries shall be subject to the approval of the Leicestershire & Rutland Golf Limited which reserves the right to accept or refuse any entry without giving reason for its decision, which shall be final. (e) In all Tournaments except Scratch League, Seniors Scratch Knock Out and U35s Scratch Knock-Out a player’s handicap must be “Competition” as defined by CONGU. 4. 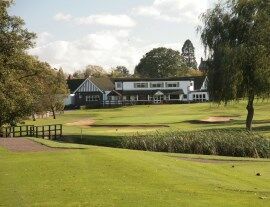 If it becomes impossible to complete a tournament in accordance with the Tournament Conditions due to exceptional circumstances which in the opinion of the Leicestershire & Rutland Golf Limited make it impossible or impractical to do so, the Leicestershire & Rutland Golf Limited shall be empowered to vary such Conditions to the extent necessary to achieve a result within the time available. 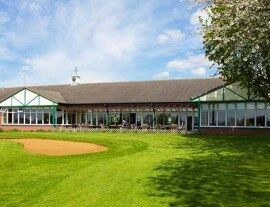 (b) The John Cheatle Foursomes which is by invitation from the Leicestershire & Rutland Golf Limited President. 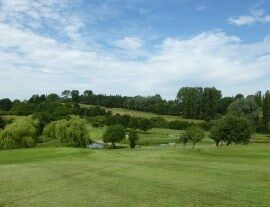 Open to males, including juniors, being members of a golf club affiliated to any golf union; at least one playing member in the group must be a member of a golf club affiliated to the Leicestershire & Rutland Golf Limited (Except invites to Anglian League and MGU Counties and the main county sponsor). 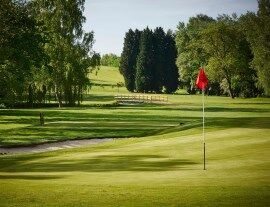 (ci) They are attached to an affiliated club of the Leicestershire & Rutland Golf Limited. (cii) They are members of the Leicestershire & Rutland PGA. (ciii) They are sponsored by a Leicestershire & Rutland based business. (e) Except as provided otherwise in certain competitions (County Open and Pro-Am Foursomes) all players must hold amateur status as defined by the Royal & Ancient Golf Club of St Andrews. 6. Transportation. It will be a condition of any tournament organised by the Leicestershire & Rutland Golf Limited that players must always walk during a stipulated round. Unless given permission to use a golf buggy by the Director of Tournaments before the closing date for entries into the tournament, in accordance with the England Golf Transportation Policy. 7. All disputes shall be resolved by a panel of three officials of the Leicestershire & Rutland Golf Limited. And their decision shall be final. 8. The requirements of the host Club regarding dress and general discipline must be strictly observed by players, caddies and supporters. N.B. These rules apply to all tournaments organised by the Leicestershire & Rutland Golf Limited, without exception.